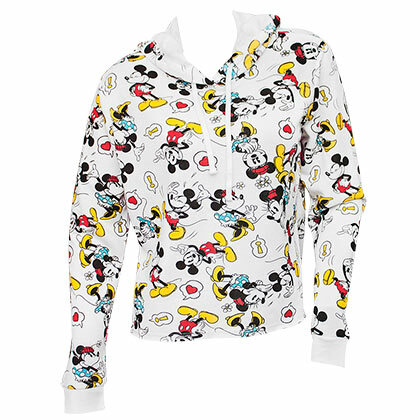 Officially licensed by Disney. 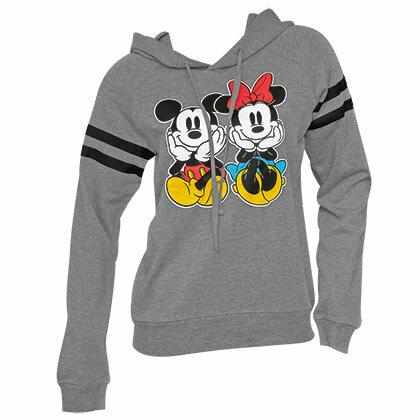 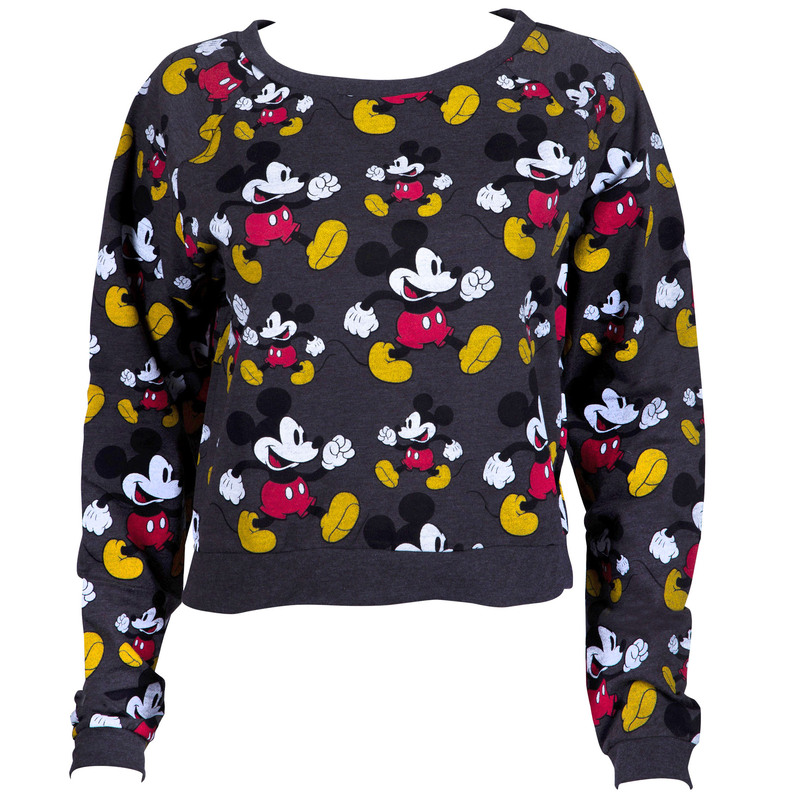 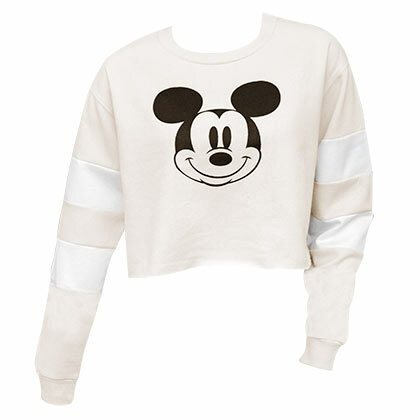 A women's cut crop top sweatshirt with a Mickey Mouse pattern design printed all over. 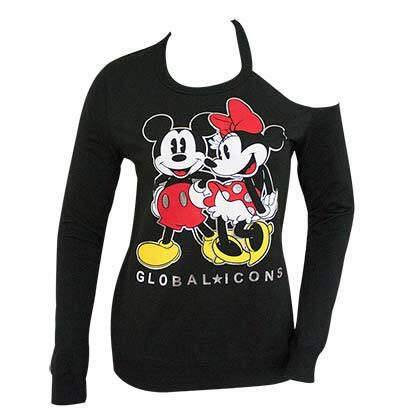 Cotton and polyester blended garment.